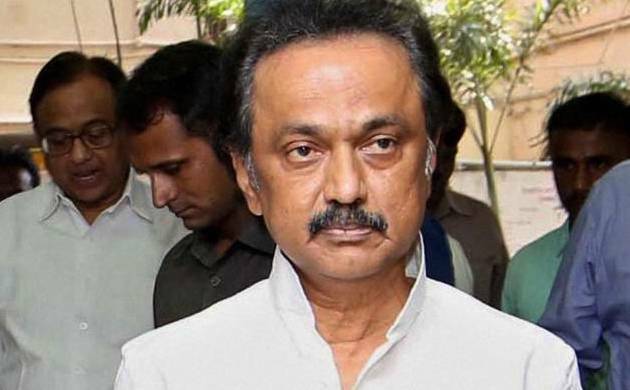 Hitting back at V K Sasikala, DMK Working President MK Stalin on Wednesday said it had nothing to with the ruling dispensation’s “internal squabbles” and accused the AIADMK General Secretary of making false allegations after failing to become chief minister through a “short cut”. In a dramatic development, Sasikala had earlier alleged that main opposition DMK was behind Panneerselvam’s revolt against her. “DMK is behind Panneerselvam...the reason is that in the recent Assembly session the Chief Minister and Leader of Opposition were looking at each other and laughing together,” she had said. He recalled that when Jayalalithaa was hospitalised, he had visited the hospital to enquire about her health and later paid his last respects after she died. He had also consoled Panneerselvam, who was there, when the body was lying in state. Even after Panneerselvam was appointed Chief Minister, DMK wanted to continue this practice of “political decency” and “perhaps Sasikala did not like this cooperation between the ruling and opposition parties,” he said. “Panneerselvam has listed the insults faced by him last night. If she can, let Sasikala respond to those,” he said. Stalin further alleged that the state’s administrative machinery has “collapsed” and sought a CBI inquiry on Panneerselvam’s allegations that he was coerced to resign. “The Governor (Ch Vidyasagar Rao) should immediately come to Chennai and take due steps to protect Tamil Nadu’s welfare,” he said.